My ride on the roller coaster enthusiast train began when I was 13 years old and took a spin on a double corkscrew roller coaster called The Python at Busch Gardens in Tampa, Florida. While The Python no longer snakes its way through the tropical foliage at Busch Gardens, the beat of my roller coaster enthusiast heart goes on. I now find myself several years overdue for joining one of the many roller coaster clubs in the United States, but am at the point where I am not sure which one to become a member of. See, the issue is figuring out which roller coaster club boasts the features I’m looking for, as not all roller coaster clubs are created equal. For example, some have nationwide coverage (take, for example, the American Coaster Enthusiasts – ACE), whereas others (such as the Florida Coaster Club) have a more regional focus. Of course, cost is another factor. Some clubs are more expensive than others, but then you will also want to consider what benefits you get along with those dues. Some clubs offer roller coaster vacation packages exclusively for members that include such things as discount park admission and hotel stays as well as perks such as extended and exclusive ride time on some roller coasters. Probably the most well-known roller coaster club in the United States, ACE formed in 1978 with just three members and has grown to more than 6,000 members from 49 states. The club publishes 6 issues of ACE News and 4 issues of Rollercoaster magazine each year and holds numerous events throughout the country. These are usually the people you see on the news when a new major roller coaster opens somewhere – they even get special privileges to ride some before the rest of the roller coaster riding public can! As of this May 2013 writing, you can join for a 6-month trial period for $19.95 and gain full membership for $60 per year. Additional members living at the same address are a slightly higher charge. This group of fun-loving group of roller coaster riders consists of hundreds of fun-loving ride enthusiasts of all stripes, ages, and experience levels. Coaster Zombies dues run $25 per year per individual, with an additional charge of $10 for other members living at the same address. With multiple theme parks all along the Interstate-4 corridor and concentrating on Orlando, it would seem remiss if the Sunshine State didn’t have its own roller coaster club. Florida Coaster Club, whose members can enjoy roller coasters throughout the entire year thanks to state’s generally mild winter weather, is perfect for Floridians (such as myself) who live to ride. Members can enjoy exclusive ride time, park filming opportunities, and invitations to club outings. Membership dues start at $20 per person for one year and $30 for two people at the same residence. Based in the same state as the Roller Coaster Capital of the World, otherwise known as Cedar Point, the Great Ohio Coaster Club is situated in a place where there are many roller coasters to enjoy. (Don’t forget Cincinnati’s Kings Island, which currently boasts 13 roller coasters.) When you join (dues start at $15 per person), you will enjoy 6 bi-monthly newsletters, reduced-price club events, discount admission at Holiday World and Splashin’ Safari, 10% discounts at Camp Sandusky, early entry and ride privileges at Kings Island, and more. This tightly knit group of ride enthusiasts caters to riders who love to hit the tracks at Kings Dominion, Busch Gardens Williamsburg, and other parks in the region. MACC membership dues start at $15. At only $10 per year for annual membership, RideWorld is one of the most affordable roller coaster clubs around. But that doesn’t mean its benefits are lacking. You will gain access to the club’s message boards, chat rooms, and video galleries; access to local media events, exclusive guest chat events, giveaways, and more. 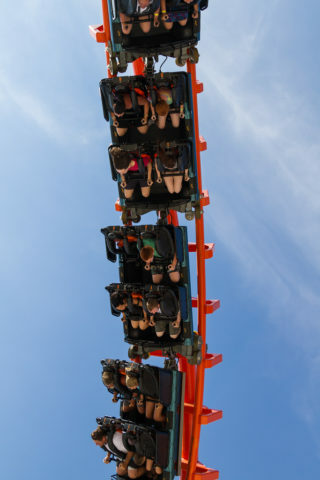 With annual Coasterfest events held at Kennywood, Six Flags Darien Lake, Knoebel’s, Dorney, Hershey Park, and others, being a member of Western New York Coaster Club will entitle you to many thrilling times with your fellow members. And, that’s in addition to the 10 annual issues of Gravity Gazette that you will also receive with your $20-per-year dues.